John Pilger gave this address on the 200th anniversary of the establishment of the Parramatta Female Factory, Sydney, a prison where 'intractable' women convicts from mostly Ireland and England were sent to Britain's Australian colony in the early 19th century. According to nonsense spun by my numerous aunts - who had irresistible bourgeois ambitions -- Mary Palmer and the man she married, Francis McCarthy, were a lady and a gentleman of Victorian property and propriety. In fact, Mary was the youngest member of a gang of wild women, mostly Irish, who operated in the East End of London. Known as "The Ruffians", they kept poverty at bay with the proceeds of prostitution and petty theft. The Ruffians were eventually arrested and tried, and hanged -- except Mary, who was spared because she was pregnant. She was just 16 years old when she was manacled in the hold of a ship under sail, the Lord Sidmouth, bound for New South Wales "for the term of your natural life", said the judge. The voyage took five months, a purgatory of sickness and despair. I know what she looked like on arrival because, some years ago, I discovered an extraordinary ritual in St Mary's Cathedral in Sydney. Every Thursday, in a vestry, a nun would turn the pages of a register of Irish Catholic convicts -- and there was Mary, described as "not more than 4ft in height, emaciated and pitted with the ravages of small pox". When Mary's ship docked at Sydney Cove, no one came forward to claim her as a servant or a skivvy. She was a "third class" convict and one of "the inflammable matter of Ireland". Did her newly born survive the voyage? I don't know. 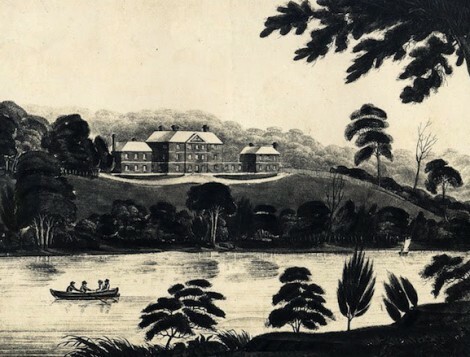 They sent her up the Parramatta River to the Female Factory, which had distinguished itself as one of the places where Victorian penal experts were testing their exciting new theories. The treadwheel was introduced in the year Mary arrived, 1823, as an implement of punishment and torture. The Cumberland Pilgrim described the Female Factory as "appallingly hideous ... the recreation ground reminds one of the Valley of the Shadow of Death". Arriving at night, Mary had nothing to sleep on, only boards and stone and straw, and filthy wool full of ticks and spiders. All the women underwent solitary confinement. Their heads were shaved and they were locked in total darkness with the haunting whine of mosquitoes. There was no division by age or crime. Mary and the other women were called "the intractables". With a mixture of horror and admiration, the Attorney General at the time, Roger Terry, described how the women had "driven back with a volley of stones and staves" soldiers sent to put down their rebellion. More than once, they breached the sandstone walls and stormed the town of Parramatta. Missionaries sent from England to repair the souls of the women were given similar short shrift. Then there was "courting day". Once a week, "bereft gentlemen" (whomever they might be) were given first pick, followed by soldiers, then male convicts. Some of the women found "finery" and primped urgently, as if an inspecting male might provide a way out of their predicament. Others turned their backs should an aspiring mate be an "old stringybark fella" down from the bush. During all this, the matron would shout out what she called "the good points" of each woman, which was a revelation to all. In this way, my great-great grandparents met each other. I believe they were well matched. Francis McCarthy had been transported from Ireland for the crime of "uttering unlawful oaths" against his English landlord. That was the charge leveled at the Tolpuddle Martyrs in 1833. Mary and Francis were married at St Mary's Church, later St Mary's Cathedral, Sydney, on November 9th, 1823, with four other convict couples. Eight years later, they were granted their "ticket of leave" and Mary her "conditional pardon" by one Colonel Snodgrass, the Captain General of New South Wales -- the condition being she could never leave the colony. Mary bore 10 children and they lived out hard lives, loved and respected by all accounts, to their ninetieth year. My mother knew the secret about Mary and Francis. On her wedding day in 1922, and in defiance of her own family, she and my father came to these walls to pay tribute to Mary and the intractables. She was proud of her "bad stock". I sometimes wonder: where is this spirit today? Where is the spirit of the intractables among those who claim to represent us and those of us who accept, in supine silence, the corporate conformity that is characteristic of much of the modern era in so-called developed countries? Where are those of us prepared to "utter unlawful oaths" and stand up to the authoritarians and charlatans in government, who glorify war and invent foreign enemies and criminalise dissent and who abuse and mistreat vulnerable refugees to these shores and disgracefully call them "illegals". Mary Palmer was "illegal". Francis McCarthy was "illegal". All the women who survived the Female Factory and fought off authority, were "illegal". The memory of their courage and resilience and resistance should be honoured, not traduced, in the way we are today. For only when we recognise the uniqueness of our past -- our Indigenous past and our proud convict past -- will this nation achieve true independence.